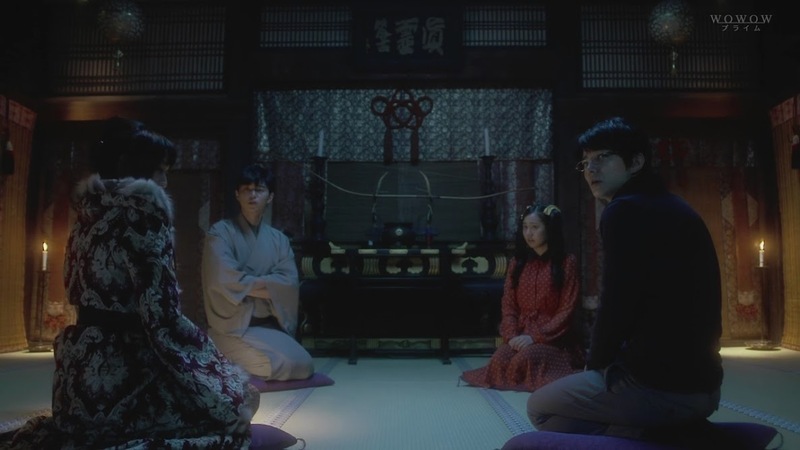 Totally in love with this drama 🙂 Get ready for some hair-raising 100 Ghost Stories fun! 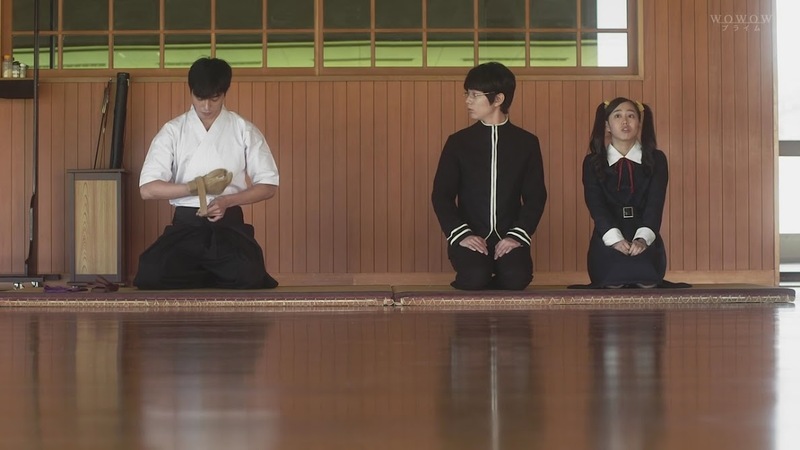 Oh, and the songs and instrumentals for this drama are totally awesome! We open with scenes from the first two episodes and then some, which has Watanuki really creeping out as if he was in a waking nightmare. He finally screams and comes to his senses where he finds himself alone in a classroom (or possibly the empty lunchroom). Himawari calls out his name and asks if he’s okay since he looks tired. Watanuki, like always, assures his crush that there’s nothing bothering him. He then asks Himawari if he said something. She assures him he didn’t. Himawari sits down and pulls out a lunchbox. This excites Watanuki—she finally made her own!? Nope. She unwraps it and its all store bought again. She pulls out her favorite pudding and decides to share it with Watanuki. He then looks down at his own handmade gourmet lunch and asks if its okay for him to start bringing her lunch everyday. This excites Himawari. She would love it! She would love it even more if Watanuki makes Domeki one everyday, too, since Domeki-kun praises Watanuki’s cooking skills. Of course Watanuki doesn’t care if Domeki praises his cooking and nor does he wish to make his “rival” a bento, but when Himawari smiles brightly and says they can eat lunch together from now on, you know he will even if he’s not happy making Domeki’s. At Yuko’s shop, The girls are clapping their hands and calling out for “Part-Timer-kun” who is making their master wait. Watanuki comes rushing in breathless and says that he can hear them. Yuko then demands to know where her snack is. Oh…Watanuki hasn’t made it for her yet as he’s been busily preparing bentos for tomorrow’s lunch. Bentos? A tribute to the “morning glory”? Watanuki corrects Yuko on Himawari’s name (it literally means sunflower) and says it’s not a tribute, but him just being kind. Yuko gets up and tells him to stop beating around the bush and just ask Himawari out since he likes her. 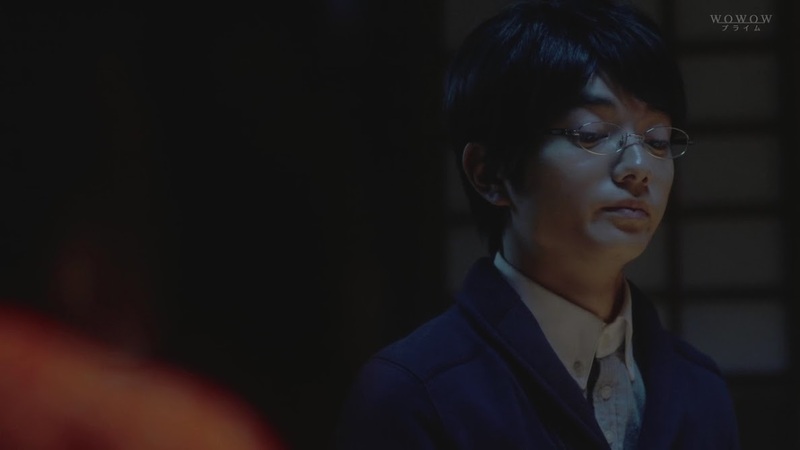 Watanuki says there is a proper order to everything and Yuko complains the young man is boring. Coming really close to him (wearing a thin negligee) Yuko promises her help. 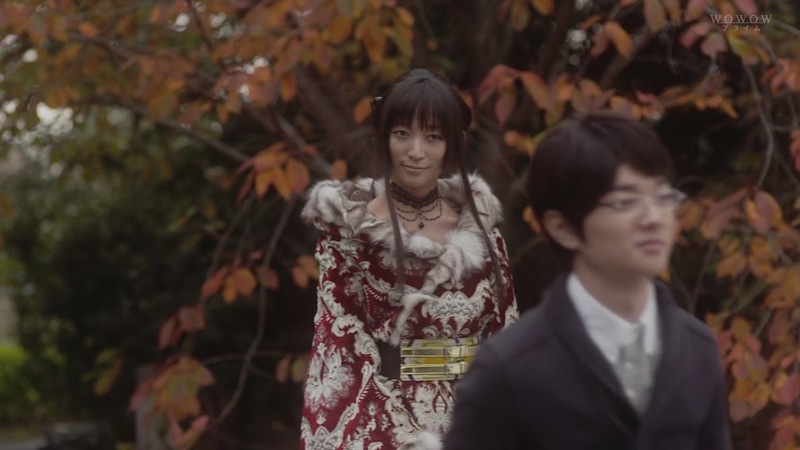 Watanuki backs away and asks if she’s drunk. Yuko then grabs his shoulders and turns him around. He can have a group date with Himawari and the theme will be the 100 Ghost Stories! Oddly enough, Himawari seems very excited when Watanuki tells her about it. So…they’ll see ghosts right? Himawari loves that kind of scary stuff. 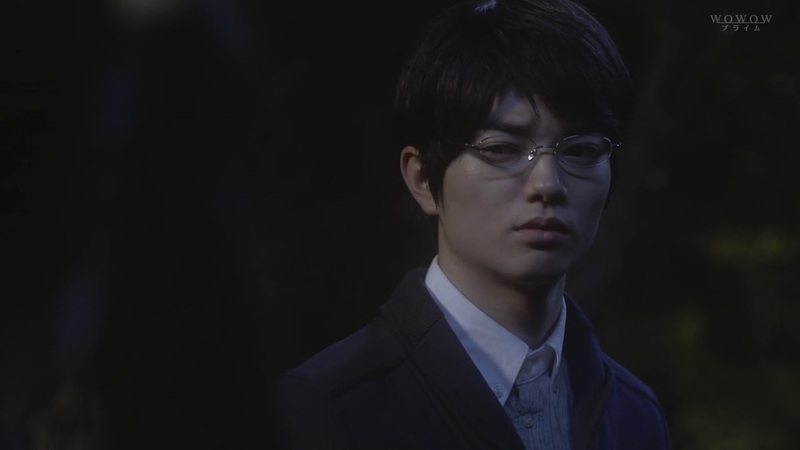 Watanuki then tells her he refused it. Eh, why? 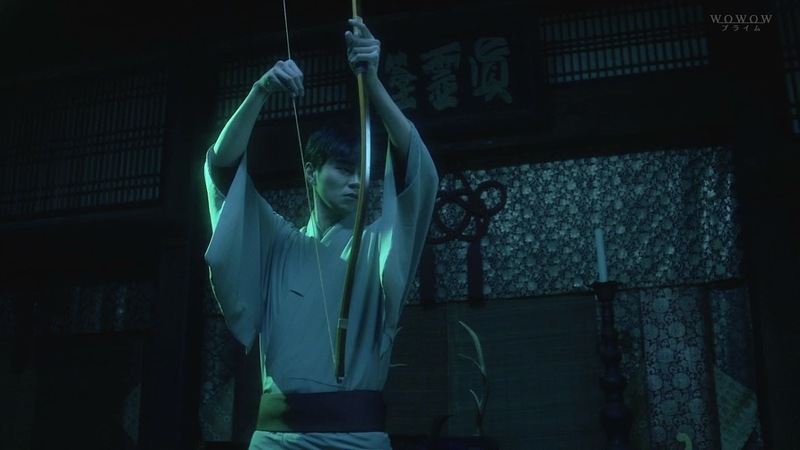 Domeki finishes his archery practice and comes over—is Watanuki scared? Of course not. He thought it would be a royal pain in the rear, plus there’s no place they can do it at. Domeki then offers up his home. Himawari jumps on the bandwagon for this idea since Domeki’s house is a temple. This shocks Watanuki who didn’t know. He then asks if Domeki is the son of a priest. His reply—something like that. You know, there’s nothing wrong with Domeki’s voice, but I had envisioned it a lot deeper and more…disinterested…sounding. 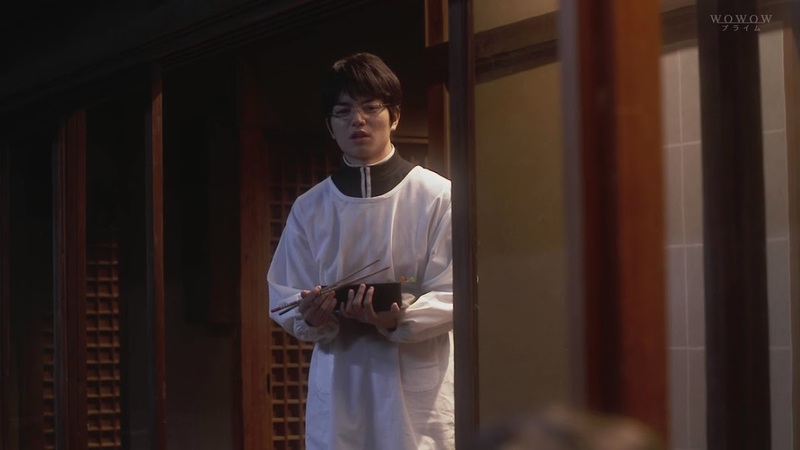 Watanuki asks if its not sacrilege to host such a thing in a temple. 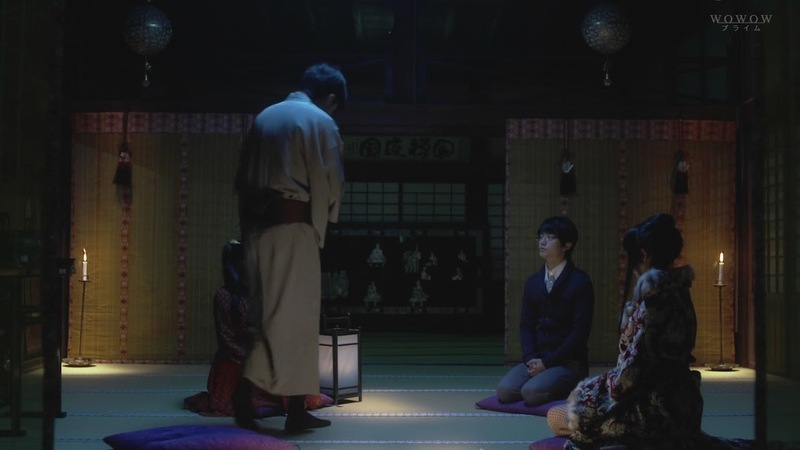 Domeki assures Watanuki that it is fine as in the old days, it was a special gathering that often took place at the temple (according to Domeki’s grandfather), so it will be all right. 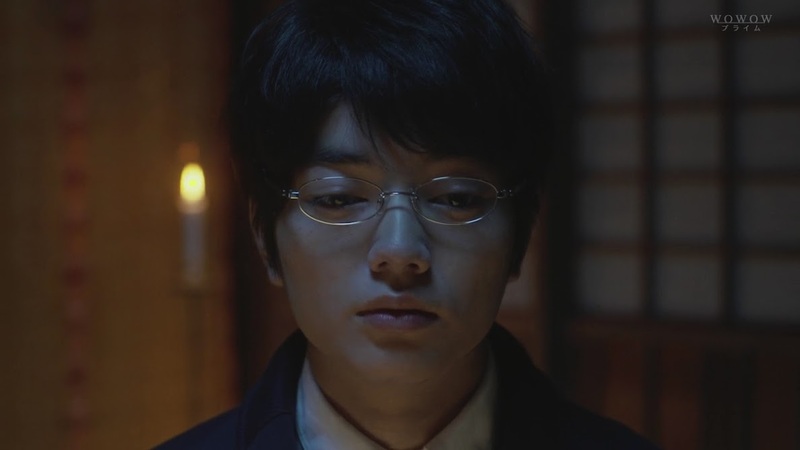 Domeki then gets up and says he will allow them the use of his house as long as Watanuki makes him bentos. LOL. Of course Watanuki balks at this even more as he doesn’t want to do ghost stories nor does he want to make Domeki bentos. Himawari then happily turns to Watanuki and says that she’s free next Saturday—what about him? I can’t quite pinpoint the expression on Watanuki’s face, but he’s holding on to his composure and asking her (as if he would a child almost) if she’s even listening to him (since he’s repeatedly said he doesn’t want to). She just gives him a big grin. 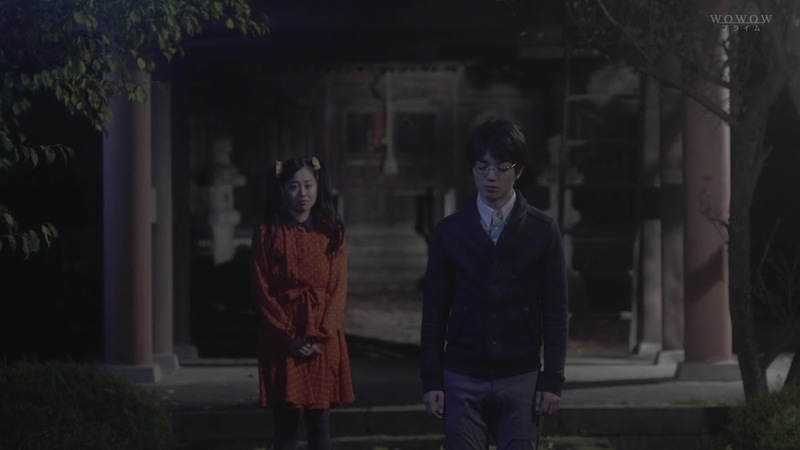 The following Saturday Watanuki arrives with Yuko at the temple. He exclaims over its beauty. Himawari pops up and happily greets the two. She tells Yuko that she is very beautiful. Watanuki mumbles that she’s also very selfish and this earns him a hit to his stomach with Yuko’s purse. Himawari then tells them to wait there and she goes running off. Yuko immediately says that she’s cute, however, she’s very difficult. Watanuki says that she is and that he knows since Himawari is very popular with the boys. Yuko says that is not what she means. 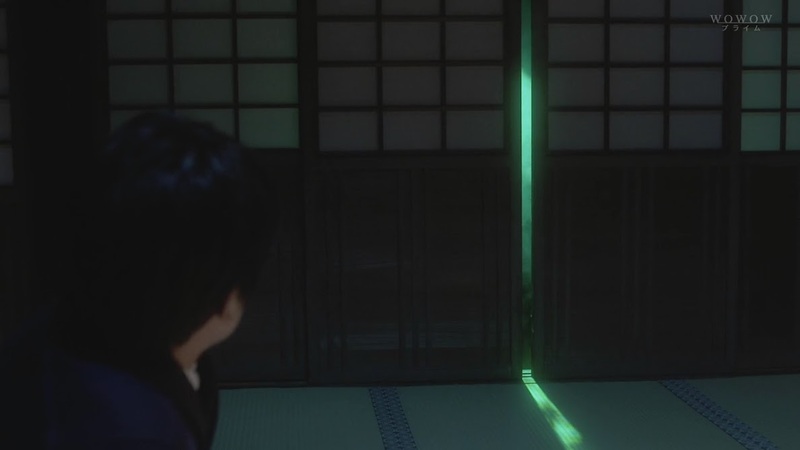 Domeki-kun then slides the temple doors open and looks out. Yuko looks at him—so that’s Domeki. She then tells Watanuki it would be best to get along with the other boy. Watanuki smiles and shakes his head. There’s no way. 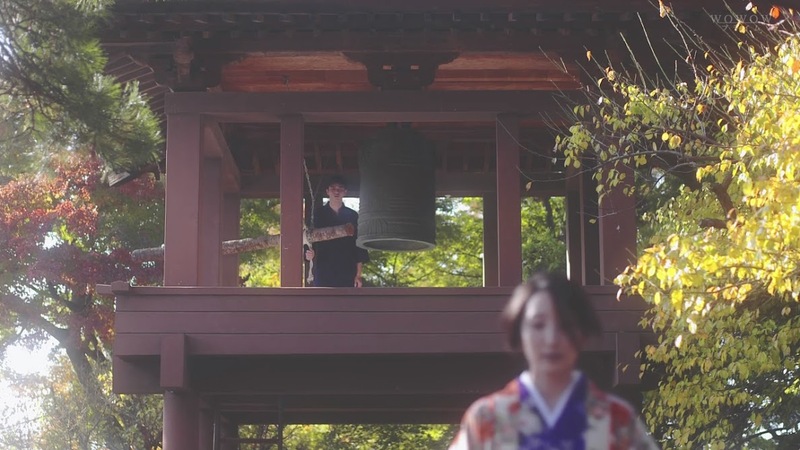 Yuko watches him go into the temple and says he will soon understand the reason. 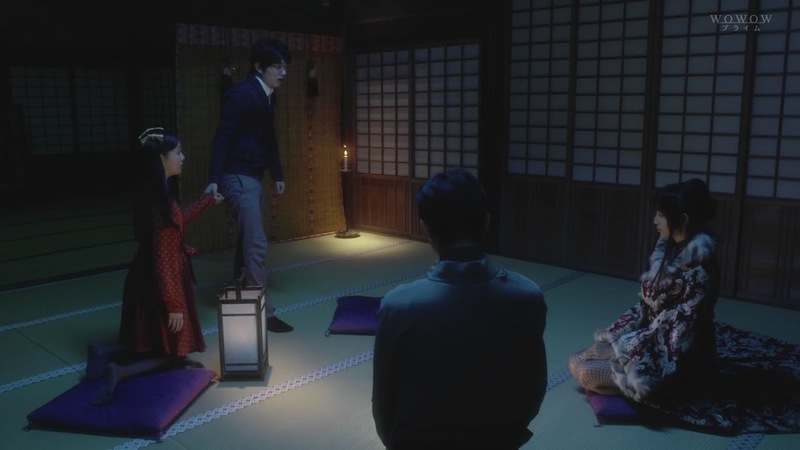 The setup for the ghost stories is done and Himawari asks if they can really see ghosts. Yuko says that since everyone she needs is there, then there is a possibility they will. She walks to the back of the room and says that it is time to start. The four sit down in the candlelit room and the stories begin. 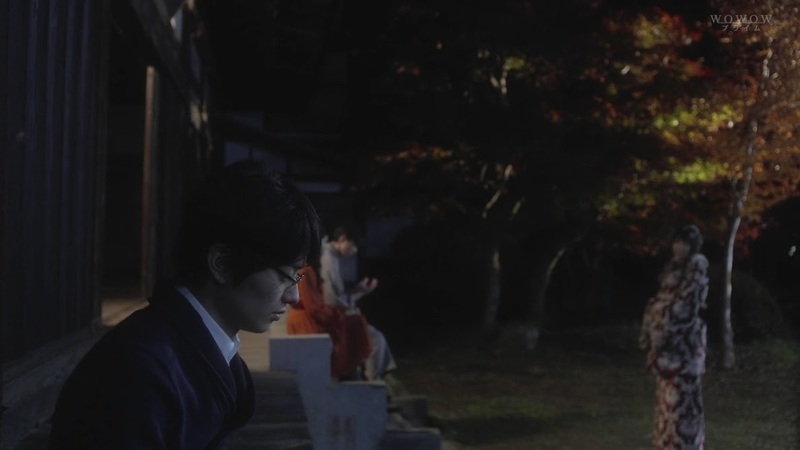 Domeki talks of how his grandfather (played by the actor playing Domeki—glad they are keeping this true about how Domeki and his grandfather looked very much alike) saw a woman who appeared to be a ghost while ringing a bell. The woman disappeared and popped up behind the young man and asked how he knew. Watanuki jumps in surprise and falls backward. Himawari laughs and Domeki asks if they should stop since it doesn’t look like Watanuki can handle it. Watanuki tells him to shut up. 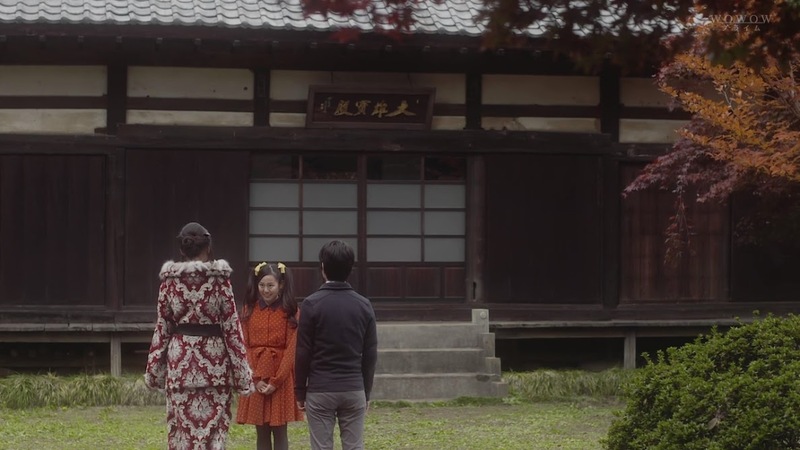 Yuko asks if Domeki’s grandfather was the original priest of the temple. Domeki says that he was. So…he could see ghosts, right? Yes. There were times when Domeki’s grandfather even had to exorcise evil spirits. 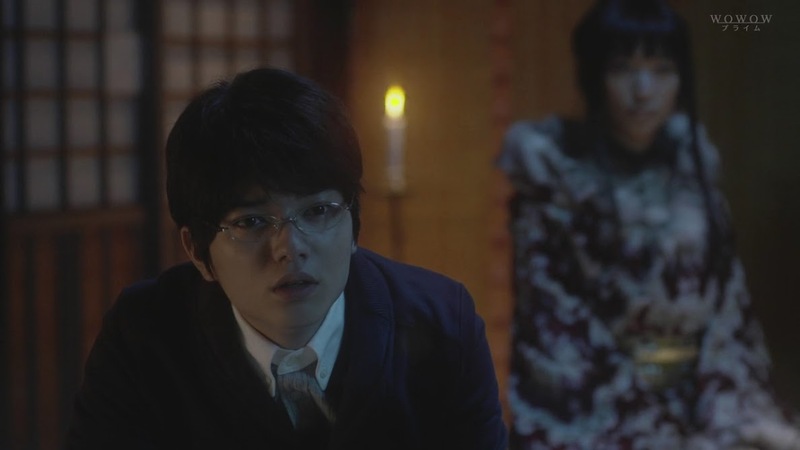 Watanuki ten asks if Domeki can see ghosts. Not at all. Yuko gives a knowing smiles and says that even if Domeki cannot see them, there are still things that he can do. Then the stories continue. The ceremony is completed when 100 stories have been told. Each person is to tell four stories (um, that would be 4 stories per turn 25 times? Or are they doing the abbreviated version like in the manga?). Apparently the number 4 can connect you to the dead. The time for the ceremony to end comes with only three stories remaining. Himawari’s turn has come. It’s not a ghost story, but she would like to tell it. Yuko gives her the okay. Himawari then starts talking about a girl named Tsubaki who rode the bus to school every day. In third grade, a man got hit by the bus and looked right at the girl’s eyes. The next year a teenage girl died when Tsubaki sat in the front seat, thus Tsubaki vowed to never sit in the front seat again. At this time, the candle flame flickers and the doors start rattling and shaking. Watanuki asks if there’s any one there, and Domeki replies you can say that. It is a supporter of the temple who is dead. They are keeping the body at the temple until the funeral the next day. Yuko smiles broadly and says that she told them everyone she needed was there. Watanuki scolds her for including a dead person and tries to take Himawari and leave. Yuko tells him that he cannot do that since the room is protected by a barrier from four candles. Yuko cannot guarantee the two’s safety if they leave. 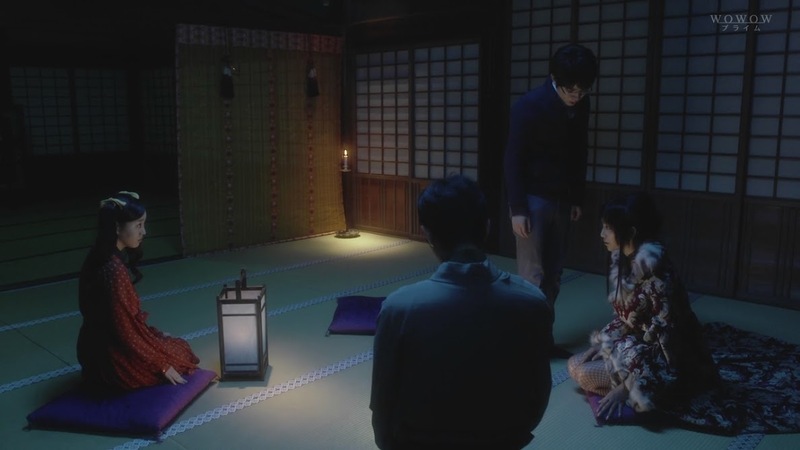 Watanuki says that a dead body and ghost stories are risky for him as it is. Yuko ignores this and tells Himawari to continue her story. Himawari says that many years had passed and Tsubaki had become a high school student. She thought that no more accidents would happen after all of that time, but she was wrong. That day Tsubaki’s dog was hit by the bus she was riding. It was a dog that was much loved by Tsubaki. At that time, Tsubaki cursed her fate. She stopped riding the bus and owning pets. Looks like Yuko and Domeki get that it’s about Himawari, but does Watanuki? Given her level of emotion and her tears, it’s pretty easy to tell Tsubaki was really her. 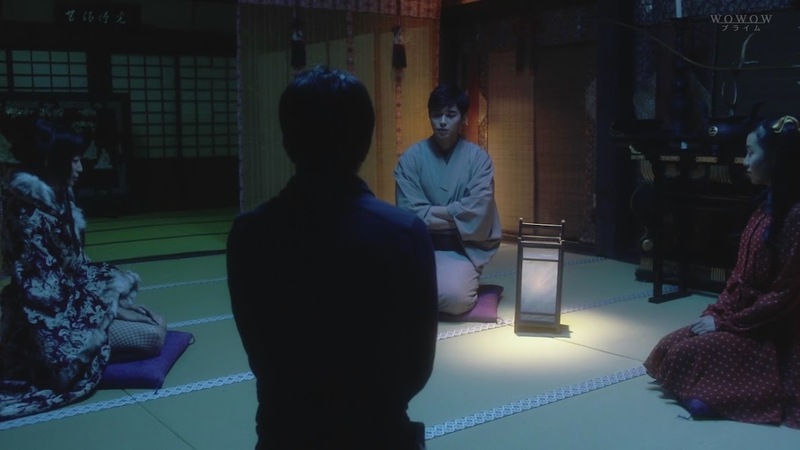 Domeki then puts the lantern in front of Watanuki and tells him that it’s now his turn. Watanuki begins like Himawari did—this is a friend’s story, only his was a friend of a friend’s story. He talks about the boy’s mother being hospitalized, but always smiling whenever the boy came. One day at the hospital, the boy saw a little girl laughing outside his mother’s room. Apparently he could see things others could not. He slowly began to realize that he was abnormal. He followed the little girl thinking she was inviting him to play. He follows her to the roof where a ball comes rolling at him. He bends to pick it up and when he straightens up there is the girl with no face at all. 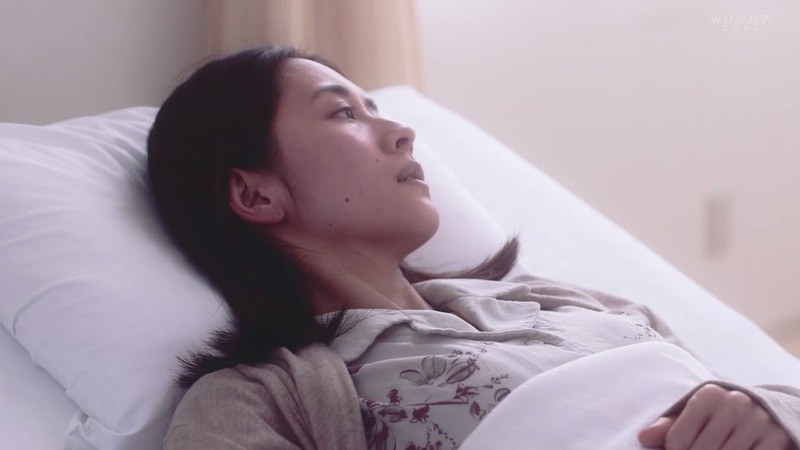 At this time his mother wakes up and notices her son is missing. While she desperately and weakly searches for her son, the little girl is somehow making Watanuki climb the fence surrounding the roof. 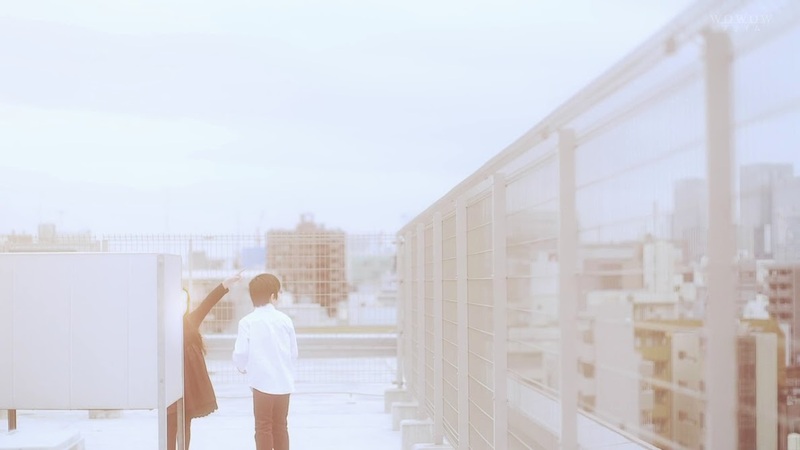 Watanuki’s mother makes it up to the roof and yells his name before collapsing. This brings Watanuki out of his stupor and he rushes over to his mother. 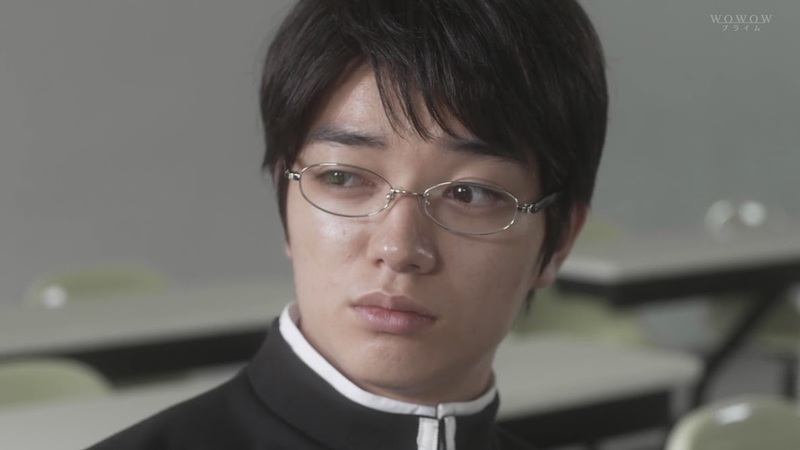 He shakes her and cries as he calls out “mother.” In the room, Watanuki is crying as well and you can see Domeki and Yuko’s compassionate glances. 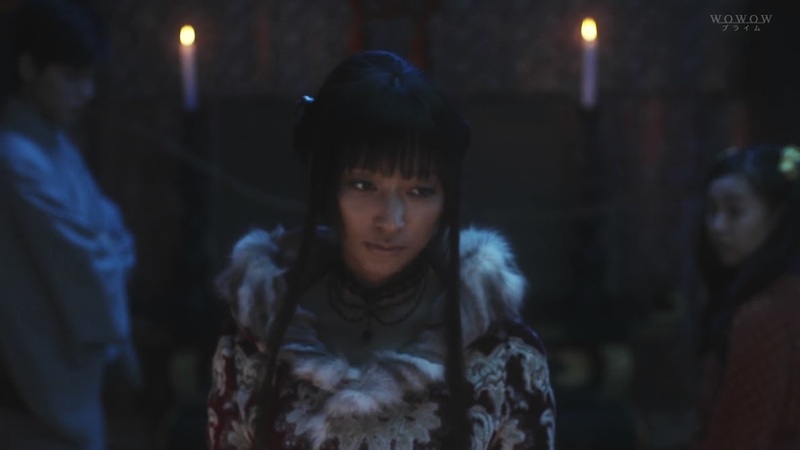 Yuko takes the lantern and says her story shall be the final one. She then says like she expected, there’s a customer. The four look around and then the door starts rattling once more and slowly slides open. The candle flames are flickering and nearly going out. This scares Watanuki and Himawari who back away slightly. Domeki then says that it is trying to get in. The rattling stops and the spirit goes to a different portion of the house. Those doors are opened more easily. 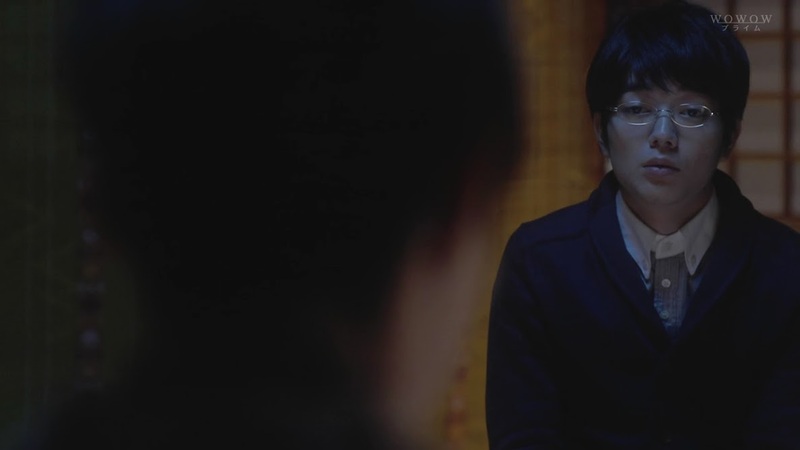 Soon a voice calls out “Kimihiro” over and over again. The corpse in the other room sits up. Himawari jumps backwards and screams, knocking over the candle, thus breaking the circle of protection. The ghost immediately starts coming over. 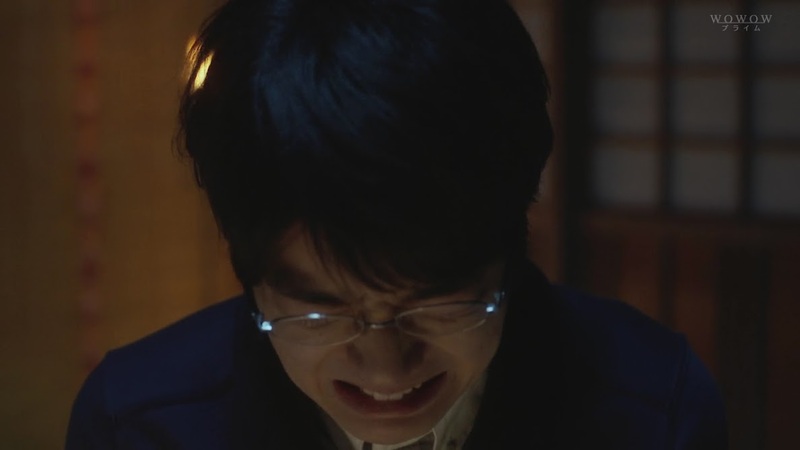 It tells Watanuki that it died for him. 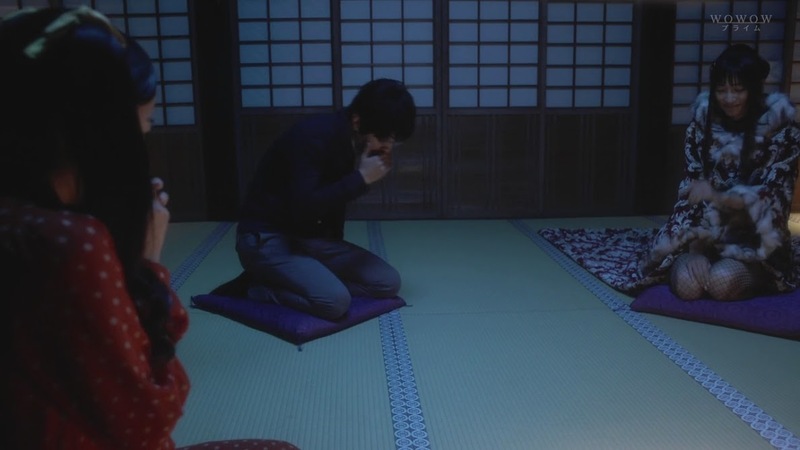 Watanuki bows and cries. 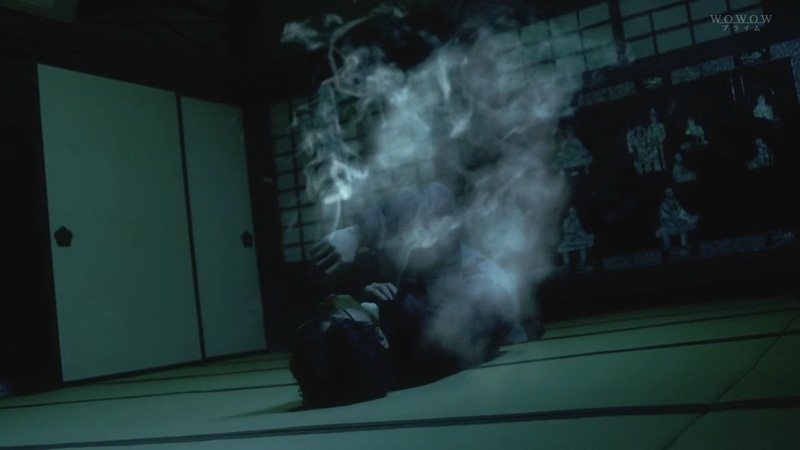 The corpse then says that it was Watanuki who was supposed to die. 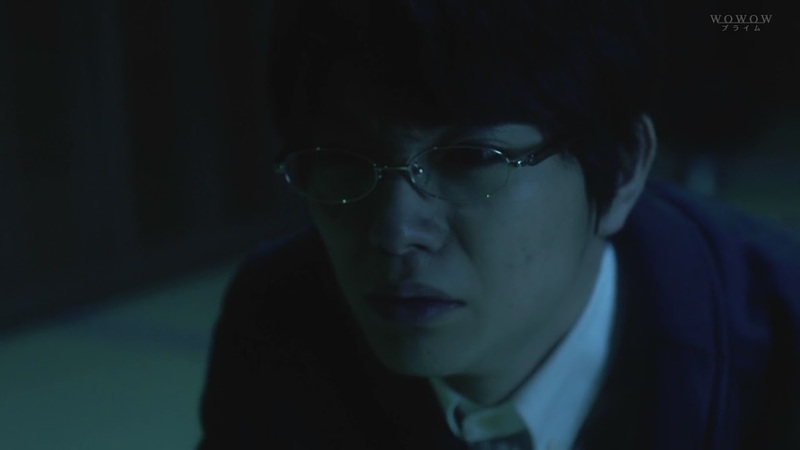 He starts going over to the ghost and Yuko tells him that ghost is NOT his mother. Watanuki doesn’t listen and he gets closer. It’s the same white faced ghost that he saw the day his mother died! It grabs him and straddles him. Himawari and Domeki can only stare in horror. 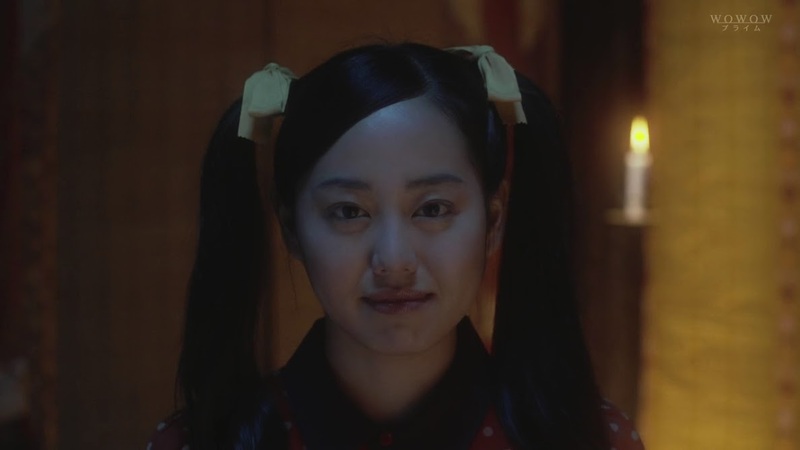 Yuko then tells Domeki to take the bow and shoot the ghost. Domeki replies he doesn’t have any arrows, but Yuko assures him that he can do it. Domeki takes aim and an arrow of light mysteriously appears. He launches it the ghost, hitting it right in the forehead, making it dissolve. Once the ghost is gone, Himawari rushes up to embrace the crying Watanuki and Domeki stares in wonder. Afterward, Domeki, Himawari, and Yuko sit outside. Domeki asks if that was a ghost. Yuko says it was a ghost attracted by the stories. Of course, it had nothing to do with Watanuki. 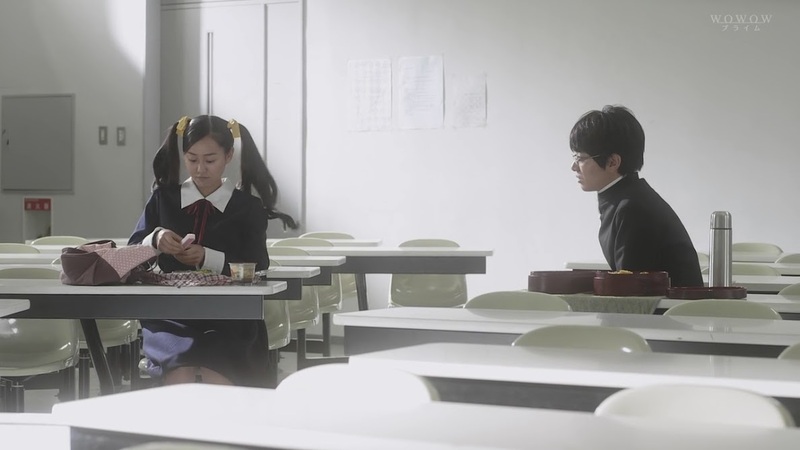 The shot widens and we see Watanuki sitting far away from the others. Domeki then asks about the arrow. 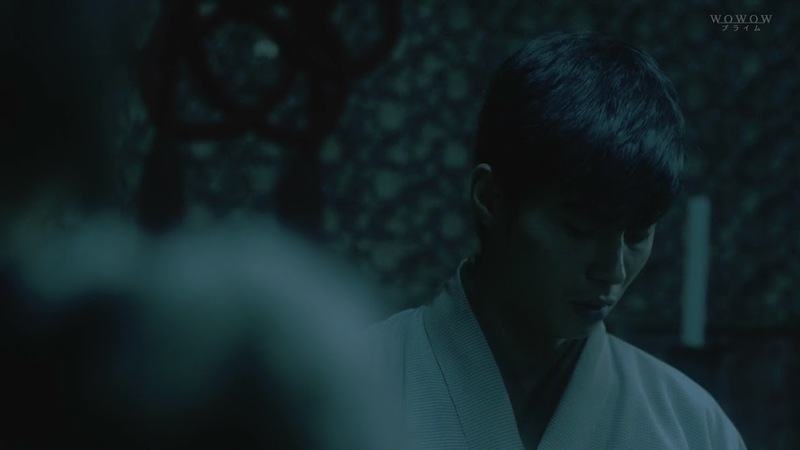 Yuko tells him it was a spiritual weapon and that he inherited the gift to exorcise ghosts from his grandfather. Yuko then turns to Watanuki and says that is why she wants Watanuki and Domeki to be friends. Watanuki says nothing and walks off. Himawari rushes after him and stops him. He tells her that he did not want her to know about his curse. He goes to leave, but she calls out to him once more. She has a favor to ask of him. What is it? You have to wait until the next episode to find out. I think they are going pretty chronologically in the manga storyline, so I wonder how far we’ll get and just what twists and turns will come in the remaining 5 episodes. I believe so. Yuko’s warning, Himawari’s & Domeki’s expressions seem to say it was her even tho a different actress was used in the flashback. Ahhh ok. So Himawari does have some sort of experience with the..ghostly world. O_O Considering she witnessed those suicides, I wonder if that’s also why seeing the lady getting run over in ep1 freaked her out? Not the ghostly world per se, but I don’t want to say too much since I have read the entire series & I don’t want to spoil anything for you. But, yeah, the accident in episode one and her past is why she flipped out.